Support Support Us Thank You! Kirsten manages the paperwork and finances for the charity. She is an Associate Member of the Chartered Institute of Management Accountants, and has an MSc (hons) in Mathematics and Statistics (University of Birmingham). Claire has an MSc in Health Psychology (University of Bath) and supports the director of the TRC. She manages HR and training bookings and helps to co-ordinate the therapy centre. 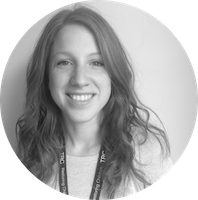 Sarah is part of the graphics team, and has a degree in graphics from Bath Spa University. Sarah will help facilitate the advertising of TRC’s projects and events. Faith is the TRC Intern. She studied Music at Bath Spa University, and hopes to train as a Music Therapist in the future. Jess assists with the administration work of the TRC and writes grant applications for the charity. She is also training as a Play Therapist. Jess assists with the HR Administration and has a degree in Cultural Studies. To make a donation please click the Donate image , or to set up a monthly payment please click this link.